The largest construction show for New York and the Tri-State area featuring over 200 speakers and exhibitors, our Studio Eagle team recently attended New York Build 2019 at the Javits Center in New York City. Immersed in an eventful day of AIA CES approved workshops, business networking, and leading topics of discussion for our design and construction community, we sat down with two members of our team, Assistant Project Manager David Dominguez and Architectural Graphic Designer and Associate AIA Amanda Garbarino to learn more about this inspiring event. 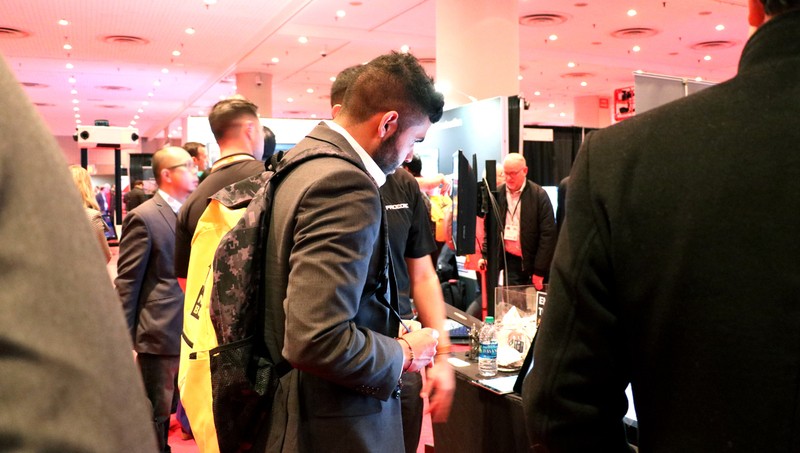 STUDIO EAGLE: Understanding New York Build to be the leading construction and design show for New York and the Tri-State area, can you share with us a bit about your first impressions of this experience? Amanda: Right off the bat I was passionate about this Expo. The opportunity to experience and be a part of such engaging information for free? This was very refreshing to me. To have the opportunity to walk through the doors of the Javits Center feeling like there is so much I can learn from this event was just so exciting to me. Walking around the space I really appreciated the diversity of people. I met people on all ends of a project – from large scale to small – with their own unique talents. I’d say for me technology definitely came through as this important part of the conference. At the end of the day it’s not just what finishes are we using on a project, but rather taking the time to ask ourselves, how can we help architects produce at a more efficient rate for the future of our work? Amanda Garbarino, Architectural Graphic Designer and Associate AIA attending New York Build 2019. Location: Javits Center, New York, NY. David: My first impression was this curiosity about all the different fields and crafts represented at the show. From construction safety, to design and technology, I was just intrigued with the conversation being had. I guess sometimes when we’re immersed day to day in our own craft, we may forget about all the other moving parts going on in our business. As Amanda mentioned, the technology side was very impressive. This world of artificial intelligence we are continuing to explore is really cool. From the project management side there was a collection of software tools I learned about reminding me just how important it is to ensure a streamlined process with everything we do. David Dominguez, Assistant Project Manager attending New York Build 2019. Location: Javits Center, New York, NY. STUDIO EAGLE: Talk us through some of the discussions and sessions you attended. Did you notice any themes emerge? If so, what were they and what resonated with you? David: The LEED discussion I attended in the morning was very informative and impactful. From understanding the history of LEED, to the projections and efforts being made towards zero emissions, I was just completely immersed in it. Sustainable materials are more critical than ever for the future of construction and our environment, and I believe project management plays this critical role in facilitating the goals we should be achieving with emissions. Amanda: To play off what David is saying, I was interested in the conversation around resiliency and what it means to be resilient in our field. I believe we are still learning as designers – as people – on how to combat natural disasters and it’s incredible to see how we are tackling these issues today. I attended a discussion with Antonio Argibay on understanding the potential of renovation in existing structures. This art of taking the old and creating something new got me thinking further about the integration of design and construction. I think attending an event such as New York Build really encourages our community to work more closely and reminds us of the opportunity in doing so. STUDIO EAGLE: It sounds like there was an abundance of learning and discovery at every turn of the Expo. Reflecting back, would you say attending New York Build has inspired your work and approach to upcoming projects? If so, in what ways? 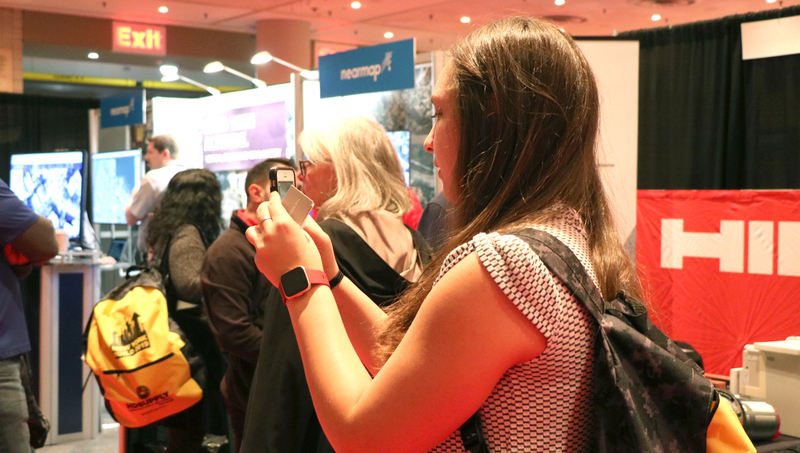 Amanda: Overall, being an attendee of New York Build and seeing all the people about and feeling the energy bustling, reminded me just how many people can be a part of one single effort. From engineering, to civil, to mechanical, from finishes to equipment, I was excited to think about who I could possibly work and collaborate with on my next project. I’m also excited to explore and tackle further the world of technology for workplace design. David: Studio Eagle is this incredibly innovative and collaborative place – and coming back the next day I couldn’t wait to share with my team what I learned and what people in our field are aspiring to do. This is something tangible I can apply right away. Sparking a conversation with my Supervisor Mike Macdonald and asking questions like how we are doing things today, and how we can do better tomorrow, is just the kind of teamwork that keeps me going every day. New York Build definitely encouraged me to the keep the conversation going. 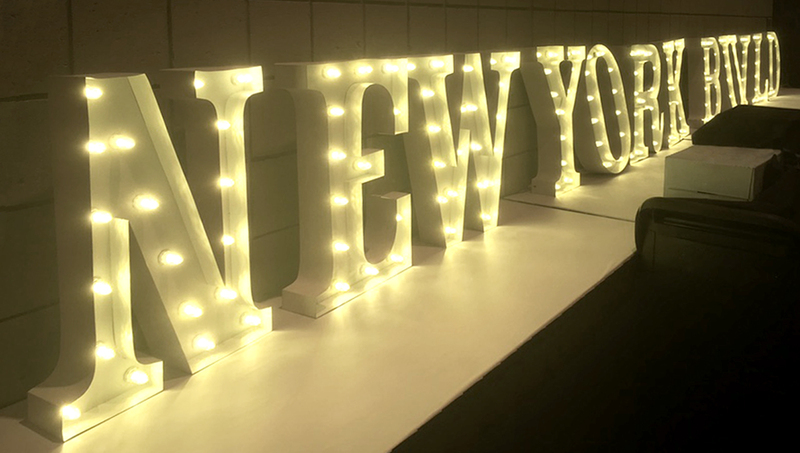 New York Build 2019 signage. Location: Javits Center, New York, NY. To stay up to date on what we’re learning and talking about, follow us on Facebook, Twitter, Instagram, and LinkedIn!